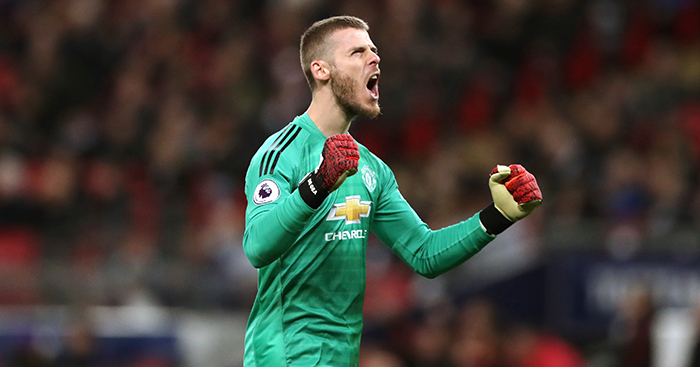 Paul Pogba scored two penalties to earn Manchester United a much-needed 2-1 win over West Ham in the battle for Champions League places – but Ole Gunnar Solskjaer’s side were equally indebted to a sensational save from David de Gea. Pogba put the hosts ahead from the spot in the 19th minute after Juan Mata was fouled, but West Ham equalised through Felipe Anderson shortly after half-time and then saw Michail Antonio hit the bar. Then, two minutes before Pogba scored his second penalty, Antonio went close again with an excellent header down into the ground which looked to be bouncing up into the top corner until De Gea somehow managed to claw the ball away to safety.